Read the latest ICAA newsletter here. 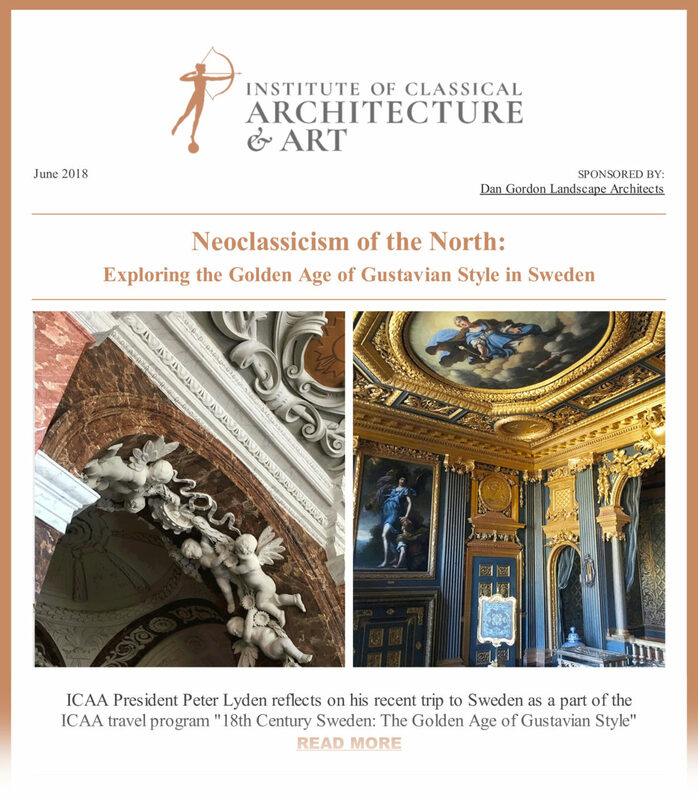 Published June 29, 2018, it features ICAA President Peter Lyden's blog post on his recent trip to Sweden, an update on the 2018 Summer Studio, a conversation with the 2018 Arthur Ross Award winners, upcoming travel and educational opportunities, and more. Read the ICAA June 2018 Newsletter.